Where did the week go? Or is it weeks? I did manage to get the borders sewn on to the 2 quilts for my sister-in-law. Sorry, no photos of the tops, but this is the block making up one quilt. 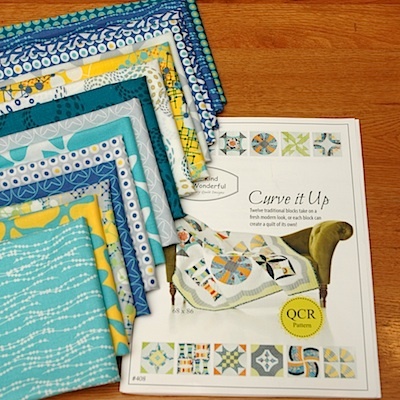 The other quilt was made using these fabrics and the Curve it Up pattern by Sew Kind of Wonderful. I’ll share photos once these 2 are all quilted. A now UFO I’m working on in the 2018 Temperature quilt. 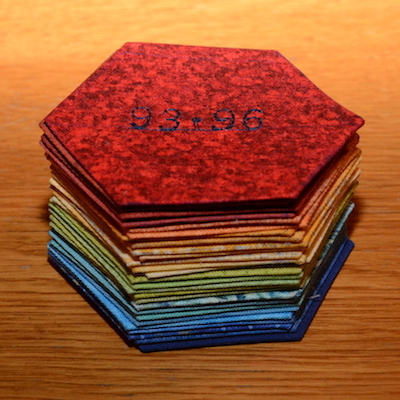 All the hexies are now made and ready to finish sewing together. Read more about it here. Sew up backs for the 2 above quilts. Stitch together hexies for the temperature quilt. Linking to To-Do Tuesday and Linky Tuesday. 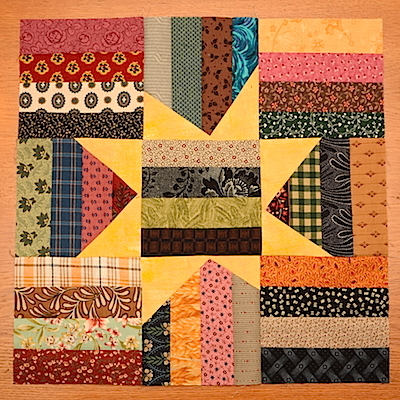 This entry was posted on Tuesday, February 5th, 2019 at 12:53	and is filed under Quilting. You can follow any responses to this entry through the RSS 2.0 feed. You can skip to the end and leave a response. Pinging is currently not allowed. Sounds like you’re busy, can’t wait to see more of your temperature quilt.